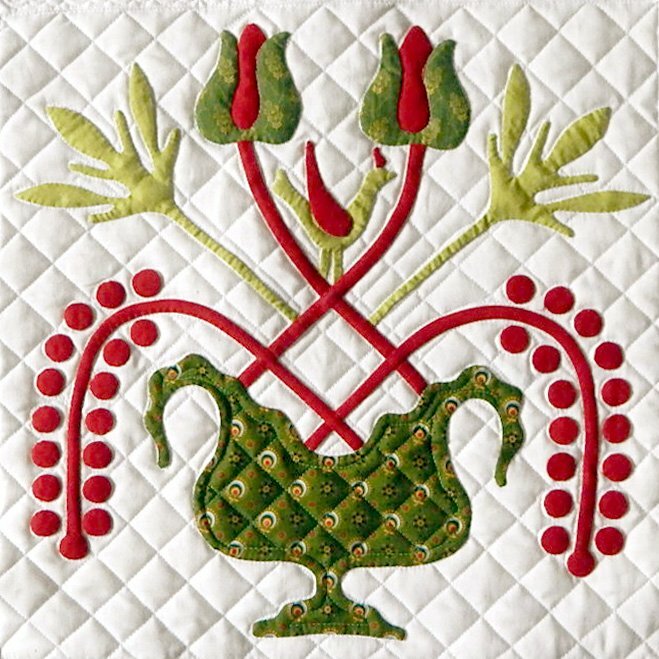 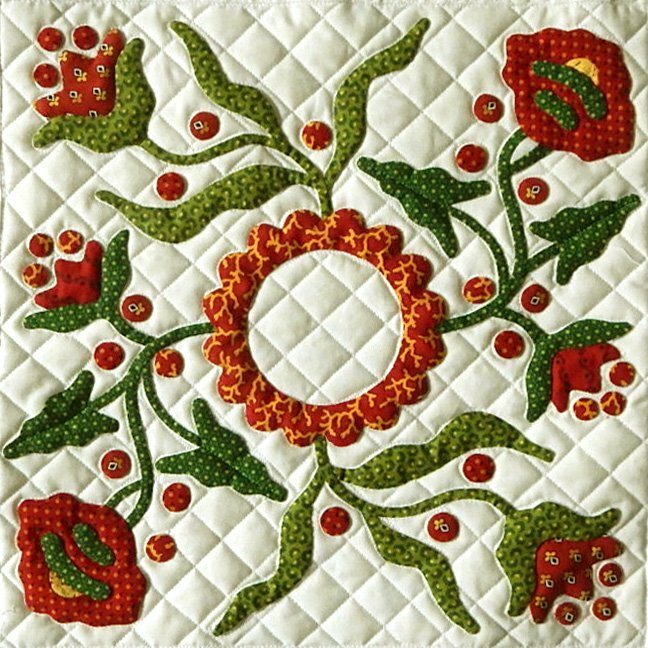 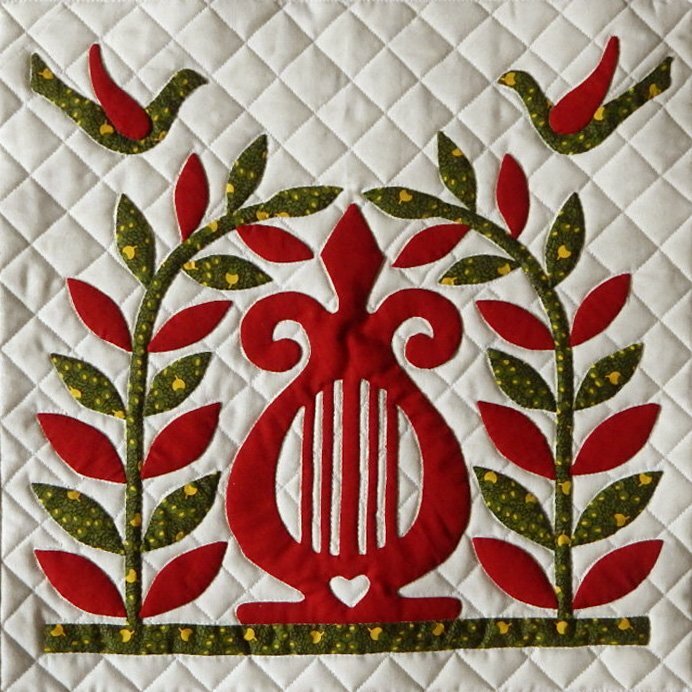 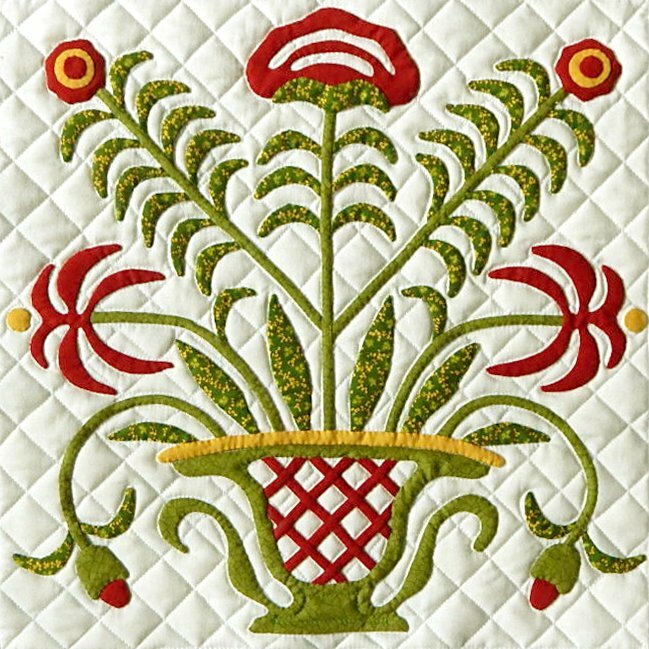 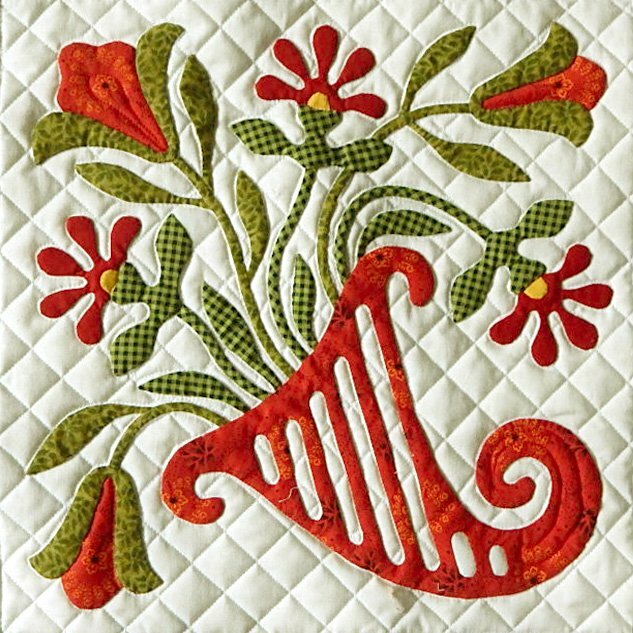 Baltimore Squared is a lovely album-style quilt done in reds and greens with a touch of gold. 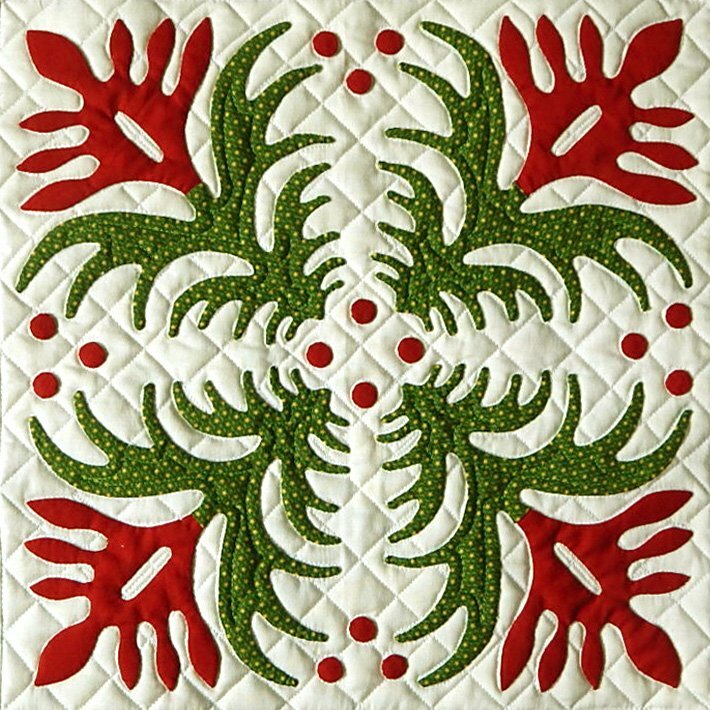 There are nine 15-inch (finished size) blocks set amidst wide sashings, Lemoyne Star cornerstones, and a delightful double-ruffled swag border. 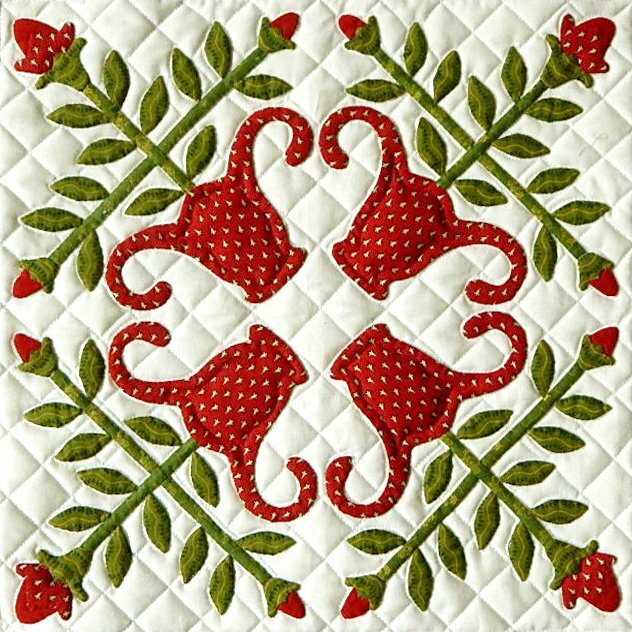 Sue Garman designed this quilt for quilters who like airy-looking designs and are not tempted to tackle a heavily layered album quilt. 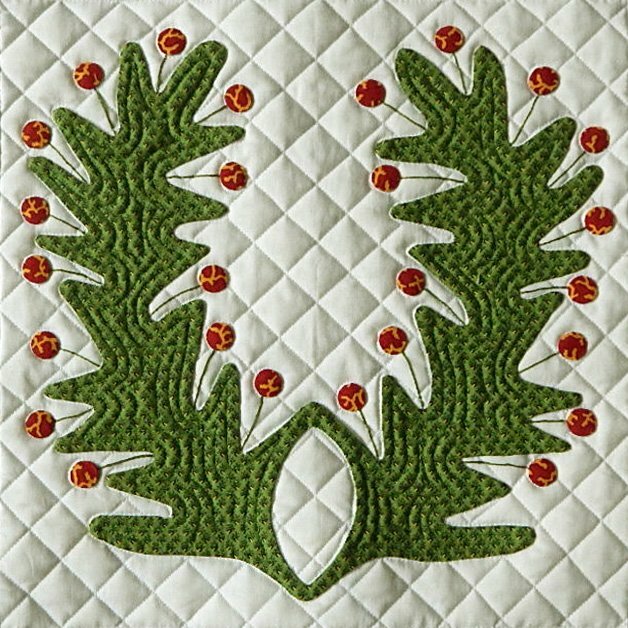 The blocks are simple and easy to make. 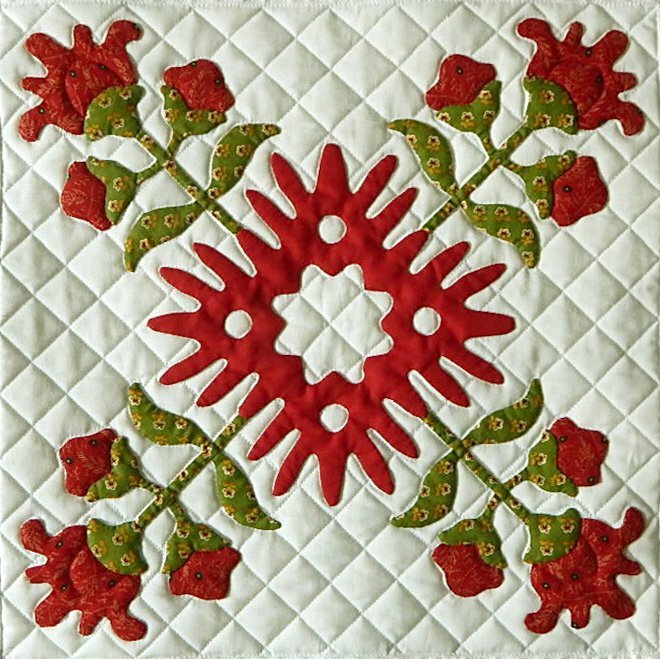 This block-of-the-month pattern includes ten individual patterns; the first nine patterns provide instructions for one block and the tenth pattern includes instructions for adding the sashing, cornerstones, and outer border - and assembling the quilt. 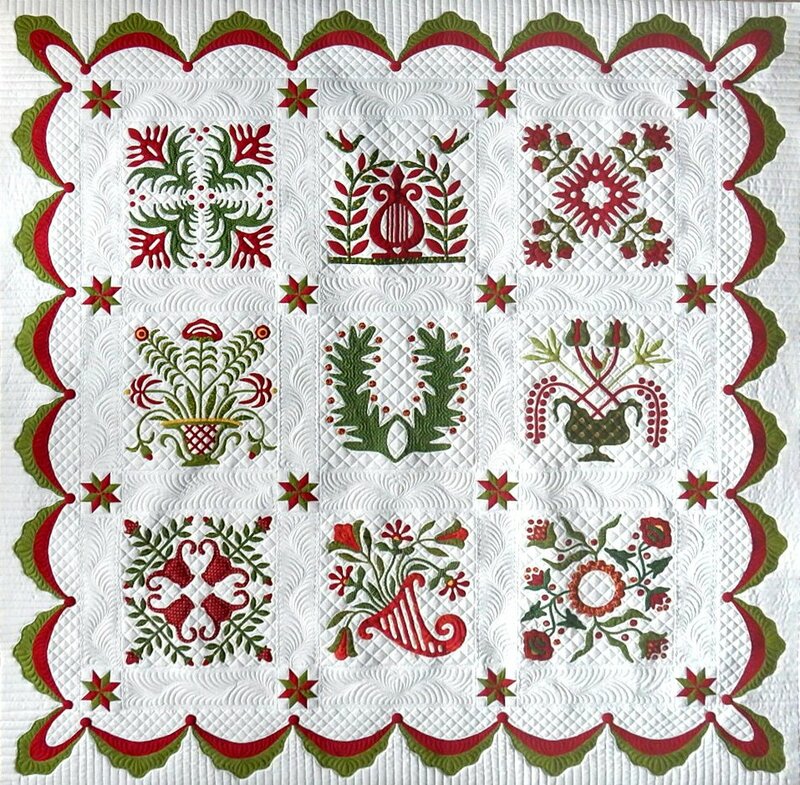 The finished quilt measures 76 inches square.